Jules Coronado has been away from her hometown for almost a decade but when an intruder breaks in to her childhood home, she finds herself coming back. Changes evidently took place in her small town, including her childhood best friend’s younger brother, Kip – now tall, slightly scruffed, all grown up and caught climbing into their garden wall. Kip Villamor has a mission and despite Jules’ doubts, they team up: going on fieldtrips, tackling unsuspecting men, and trespassing offices to dig up dirt. But Jules has secrets of her own, one that might be exposed – unless she keeps her walls up. But climbing walls are Kip’s forte, remember? Will her secrets keep her on his side, or will it force her to disappear again? I wasn’t completely sure what to expect with Dawn Lanuza’s The Hometown Hazard, except that it was romance because it seemed like it. I read and enjoyed Dawn’s first book, The Boyfriend Backtrack, and I love spin-off stories, so when the blog tour came up, I signed up immediately. This was different, definitely. Like I said, I came in expecting romance – and there was romance, definitely – and finished the book finding more. The Hometown Hazard had a small town, childhood friends, secrets, and a mystery that will keep you on your toes, wondering if there is really something in what Kip and Jules were following. First, the mystery: what fun. I liked how Jules’ small town came alive in this story, and how all the people that the duo contacts rises from the pages, too. It was easy to imagine why Jules left without really finding out why because if you’ve been in a small town for so long, it’s just natural to go to the city, right? But don’t take my word for it, because there’s more in the main character Jules, and even more in the lead interest Kip. The mystery was unveiled skillfully, and like any good mystery, it makes you want to reread to get the clues again. And of course, the romance: oh, Kip. I think anyone who’s read this will agree that Kip is his own character, totally different from the other boys that Dawn wrote about in The Boyfriend Backtrack. Kip was charming and adventurous and I totally get why one would want to follow him around. In some ways, I felt that the romance didn’t really take centerstage here, but I didn’t mind because it played off great with the other aspects of the book. I think it’s possible for you to love someone but not necessarily like them at times. Do you get that? If I haven’t forgiven myself, I wouldn’t be strong enough to love someone this much. “How do you undo a ghosting?” Leslie asked. Dawn Lanuza started writing stories when she was just a kid (they weren’t good or even finished). She works for the music industry by day and writes meet cutes and snappy comebacks by night. ‘The Boyfriend Backtrack’ is her first book. She currently lives with her family and an adopted dog. 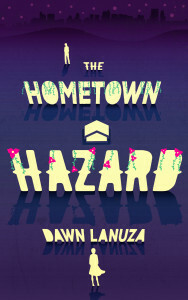 Win a copy of The Hometown Hazard! Why is it already May? Why is it already the fifth month of the year? Why. The History of Love by Nicole Krauss (4/5) – So much beautiful writing, but quite sad. But really so beautiful. 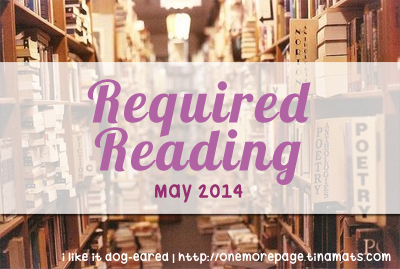 The Raven Boys by Maggie Stiefvater (4/5) – I picked this randomly on my shelf and finished it within three days. I was surprised at how readable this is, and how much I loved the Aglionby boys and Blue. I liked this so much that I immediately started reading the next one. 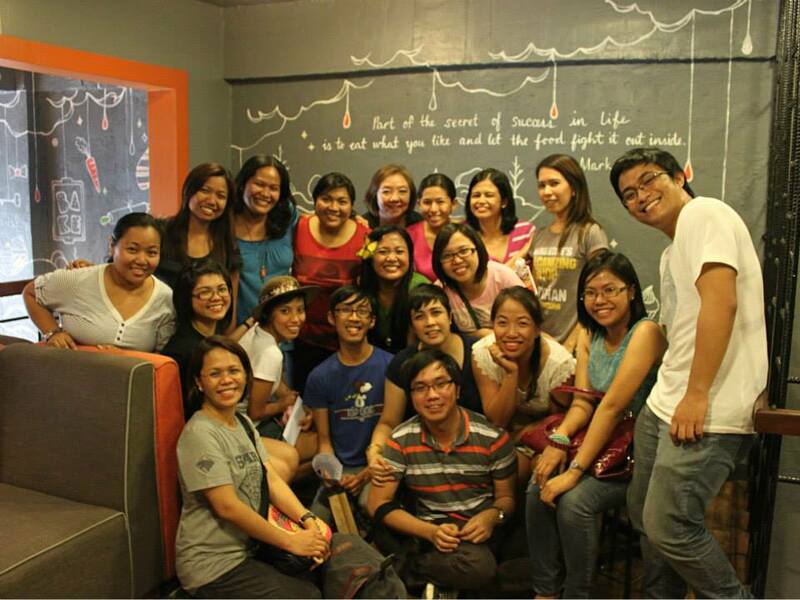 Blast From Two Pasts by Kristel Villar (3/5) – #romanceclass’s latest! I read this in a day and enjoyed the light romance between Cara and Lucas. 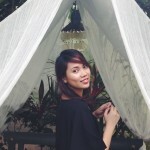 The fulfillment of childhood crushes, hihi. The Perfect Match by Kristan Higgins (3/5) – My second Kristan Higgins in a month, and the second in the Blue Heron series (first book being The Best Man). I liked this, except not so much as the first book, or the other Higgins books I read. I don’t know, I just didn’t feel this as much as I did the others. Too bad, because the lead interest is British. That is, you know, if I don’t become terribly busy with other life stuff this month. Something old and bought: Dust City by Robert Paul Weston – I bought this book on a whim in 2010. That’s four years ago. It’s been on my shelf since then, and I wanted to read something that I bought from years ago, and this jumped out at me. There you go. I have a trip coming up this month, and possible job changes so I won’t pressure myself to read all this (except maybe To The Lighthouse). 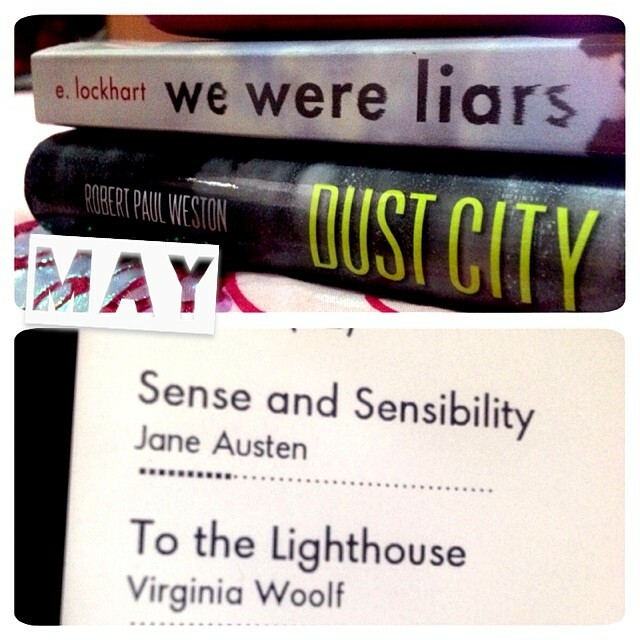 Then again, my upcoming trip has long bus rides there, so yeah, more reading time (as long as I don’t fall asleep). A reluctant voyager crossing the Pacific in 1850; a disinherited composer blagging a precarious livelihood in between-the-wars Belgium; a high-minded journalist in Governor Reagan’s California; a vanity publisher fleeing his gangland creditors; a genetically modified “dinery server” on death-row; and Zachry, a young Pacific Islander witnessing the nightfall of science and civilisation—the narrators of Cloud Atlas hear each other’s echoes down the corridor of history, and their destinies are changed in ways great and small. In his captivating third novel, David Mitchell erases the boundaries of language, genre and time to offer a meditation on humanity’s dangerous will to power, and where it may lead us. If you asked me a year ago if I knew who David Mitchell was and if I have plans of reading any of his books ever, I probably would just give you a blank stare and then shake my head. I had no idea who he was, and his books weren’t really my type of books. So when my friend Monique reviewed Cloud Atlas early this year, I liked the review but I didn’t think that I’d go and get it because it felt like a “serious” book and I was still attached to my YA. Then…I don’t know, peer pressure? Word of mouth? Hype? I see more and more of David Mitchell’s name on Goodreads, and more and more people raving about him and so I wonder — what’s the deal with him? Is he really that amazing? Will I like him too? Curiosity won me over, so I decided to finally try a Mitchell book. Since Cloud Atlas seemed to be the most popular, and the fact that its movie is coming soon, some book club friends and I set up a reading buddy session with the fans eagerly eavesdropping on our mini-discussion. Cloud Atlas contains six stories that span across different eras and set in different places all over the world with completely different characters and story lines. At first it seems that each story is independent from one another, until after I finished the first chapter and I was all, “Huh?”. As it turns out, the six stories were structured in a way that each is connected to the other despite the differences in settings, characters and genre. Yes, genre. Curious yet? We start with The Pacific Journal of Adam Ewing, a journal of an American notary from Chatham Islands back to California set in 1850. From Adam we meet Robert Forbisher in Letters From Zedelghem, who writes to his friend Rufus Sixsmith about his time as an amanuensis to an old and blind musical genius, Vyvyan Ayrs, who can’t distinguish a piano hinge in his condition, but can talk and make good music despite it. Decades later, in Half-Lives: The First Luisa Rey Mystery, there’s Rufus Sixsmith again, and he meets journalist Luisa Rey who attempts to blow a conspiracy wide open. After we are left hanging with Luisa Rey, in comes the British Timothy Cavendish, a publisher who gets in all sorts of scrapes which he thinks could form a movie on his life entitled The Ghastly Ordeal of Timothy Cavendish, if he can get out of it alive. Even more years later, in An Orison of Sonmi~451, we are transported into a dystopian world set in a new Korea called Nea So Copros, and clones called fabricants are employed to do all sorts of dirty work for everyone. Sonmi~451 is a clone who is up for execution and she is given the chance to tell her stor before she goes to the Litehouse. Finally, set into the very distant future, there’s Zachry and the story of his tribe in Sloosha’s Crossin’ an’ Everythin’ After. From there, the story goes back to Sonmi~451, Tim Cavendish, Luisa Rey, Robert Forbisher and finally back to Adam Ewing. 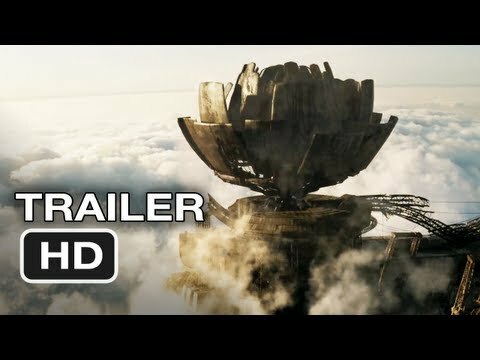 Here’s the thing about Cloud Atlas that made me realize that I will like it: it’s like a novel of spin-offs stories. And I like spin-offs. I liked how Mitchell surprised me in every story, and I wasn’t sure what to expect every time a chapter ends (and more often than not, I’m left wanting more with every chapter because it just ends). I liked how he stretched my imagination with every story, I liked the way he writes and how the novel switches from one genre to another seamlessly. By the third story, I knew I would like the book — the question is how much I would really like it. As I read the last few chapters, I thought this would just be a four-star book…and then I got to the end. 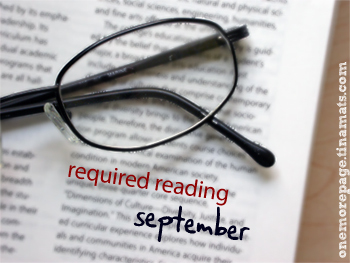 You know how you don’t want the book to end, but you want to keep on reading because you want to know what happens? Then when you get to the very final line, the chills just come? And they were awesome chills? Really awesome chills? And then you want to read the book all over again? That’s what Cloud Atlas did to me. I know this review is being a bit vague, but this book is not the kind of book that you’d want to be spoiled when you read it. The structure may seem like a gimmick, but I think for this story, it’s an effective way to tell the story and make connections. 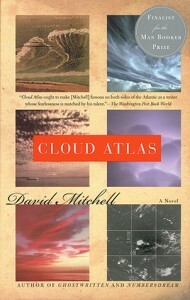 As a whole, I think Cloud Atlas is a book that deals with connectedness. Each character’s story can stand on their own and can be taken as it is, but once you start putting them together, we see that their stories become richer, more meaningful in several ways. It’s just like how each of us has our own story and we can live with just that…but once our lives cross with one another and our stories touch…everything changes. To summarize: I loved Cloud Atlas. I loved it, I loved it. And from how my friends have raved about Mitchell’s other books, I am now looking forward to reading the rest of his works. Especially if his other characters make a cameo in his other novels! :) I think that’s the best part of this Cloud Atlas reading experience: discovering a new author whose works will make you just want to read more and more and more. Oh, and I am definitely looking forward to the movie. Have you seen the five-minute trailer? I was procrastinating taking a break last Saturday on my NaNoWriMo novel (I won, by the way, yay! ), and I found a book report I submitted for my English class back in senior year in high school. I was already a reader then, but I stuck mostly to series and only a few serious novels, so a book report for a project was easy for me. This was an excuse to buy a brand new book, and I decided to choose something that is outside of my normal genre to try it out. I find it funny that I focused on the characters when I wrote the report. I guess ever since then, I’m a character person? Another funny thing: I never read an Agatha Christie after this one. I guess I never got around picking one up after that, and I’m not a big fan of mysteries in literature for some reason. I like it on TV, but not on paper. Of course that can still change. Any recommendations? 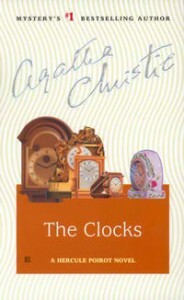 The Clocks, written by Agatha Christie is a mystery novel all about a murdered man found in the house of a blind woman by an innocent typist named Sheila Webb. The novel is told in both first and third person, some chapters being Colin Lamb’s narrative, as he tells the story in his own point of view. The novel is full of twists and turns as Detective Inspector Hardcastle, Colin Lamb and the retired Belgian “armchair detective” Hercule Poirot follows the somewhat real clues into the heart of the mystery. He is well known for solving mysteries and pointing to the real criminals in his armchair, without being at the scene of the crime, hence the nickname “The Armchair Detective”. Everyone knows that is quite impossible, but Hercule Poirot has an unusual analytic mind. He shows intelligence by the use of reading and common sense, which all of us should have. One more thing about Hercule Poirot is that he has a very good sense of humor, which suddenly pops out of nowhere. And he knows a lot of book quotes too. So more or less, we can say that Wilbraham Crescent is a place for rich or well-to-do people. You wouldn’t suspect that murders could be committed in such a place. As the novel progresses, Wilbraham Crescent becomes a less-innocent street, with either too peculiar or too uncommon neighbors. Perfect for a mystery novel. The Clocks is highly recommended for readers who like mysteries with mind-boggling clues that lead to the surprising ending. And it’s not only plain mystery; it also has a touch of humor and a little bit of romance to spice it up a little. If you want mystery, and want it now, read The Clocks. It’s worth every page.